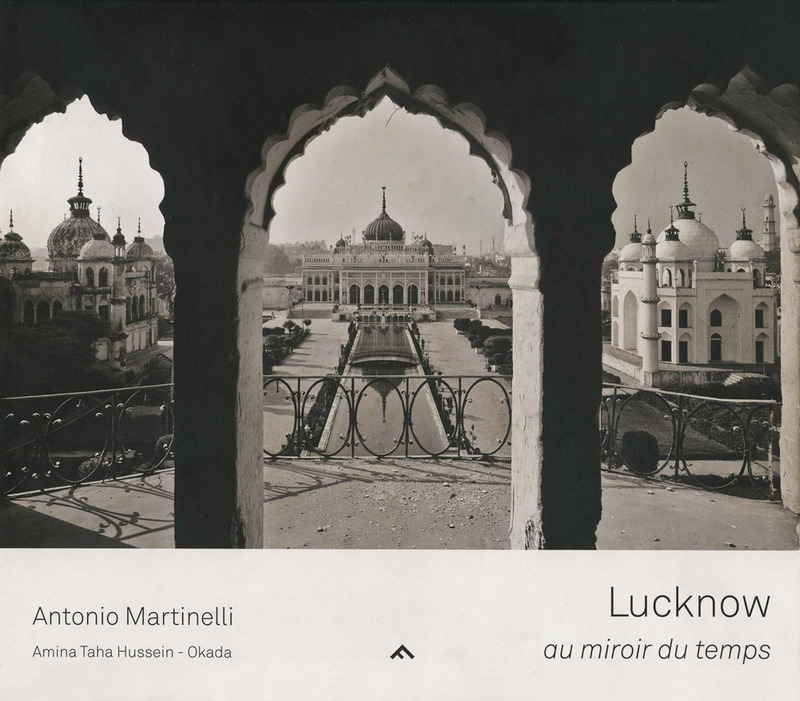 This exhibition catalogue highlights certain characteristic images shown in the exhibition held at the Musée Guimet titled “India’s Fabled City: The Art of Courtly Lucknow”- conceived by the Los Angeles County Museum of Art. Antonio Martinelli, the French photographer presents a contemporary vision of the city of Lucknow based on old images (oils, engravings, and photographs from the 19th century) and contemporary photographs taken from the same angles, in order to enable an inventory, through these compared views, of a part of its architectural and urban heritage. Today somewhat off the beaten track of the main tourist circuits, Lucknow, in the 18th and 19th centuries, was, on the contrary, an important halt between Calcutta and Delhi for European artists, painters and photographers, who were attracted by the cultural richness of one of the most wealthy and eccentric royal courts of the time. The arrival in India of professional photographers in the 19th century and the resulting documentation largely focused on the urban architecture. In the same way, Martinelli’s photographic project was centered on this cultural heritage, which remains the most vibrant testimony to the splendours of the old city. This visual undertaking was presented as a testimonial to the changes of context, modifications, degradations and effacements but also renovations, thus creating a bridge between the two artistic visions.